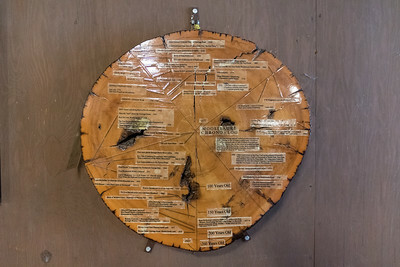 The "chrono-log" in the MRL basement. 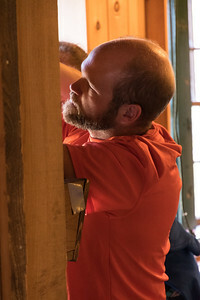 Ross McKenney in the MRL basement. 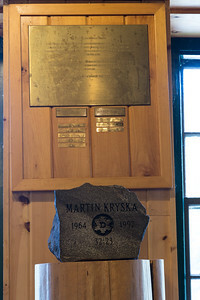 Martin Kryska's trophy in MRL basement. 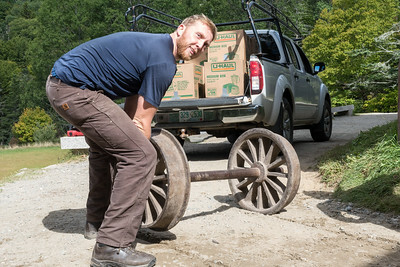 Rory Gawler detaching items from the MRL basement. 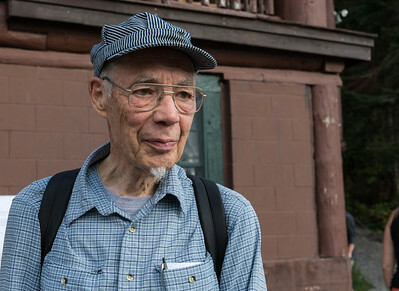 Lily Xu '18 captures a photographic record of MRL. 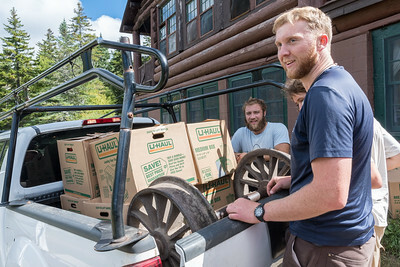 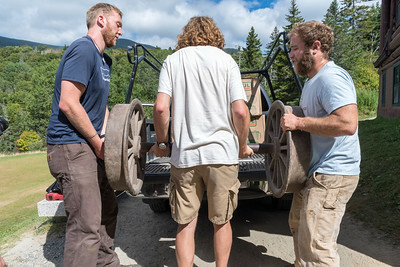 Nathanael Friday '15 leads chubbers loading the MRL railroad wheels into a pickup truck for transport to storage in '74 bunkhouse. 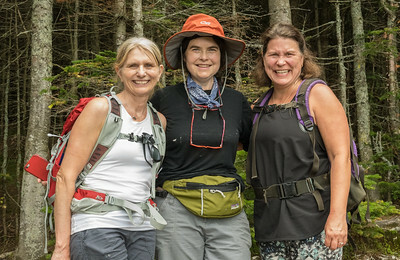 Sue Fernyak '84, Viva Hardigg '84, and Becky Todd '84, at "Last Water" on Moosilauke. 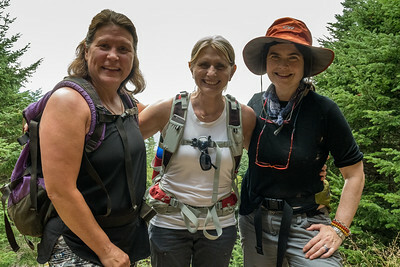 Becky Todd '84, Sue Fernyak '84, and Viva Hardigg '84, on the Gorge Brook trail up Moosilauke. 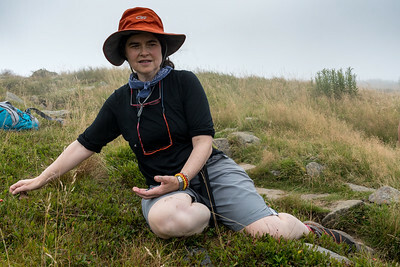 Cranberries and blueberries on the summit of Moosilauke. 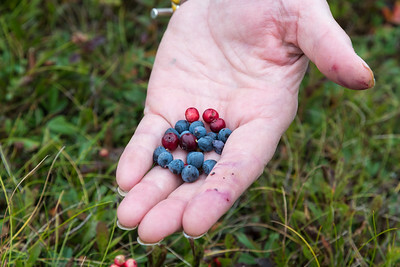 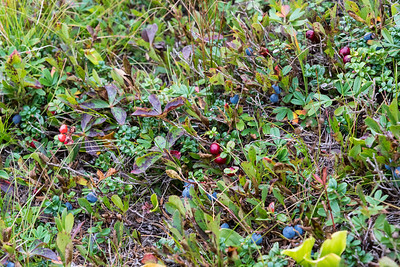 Viva Hardigg '84 picks cranberries and blueberries on the summit of Moosilauke. 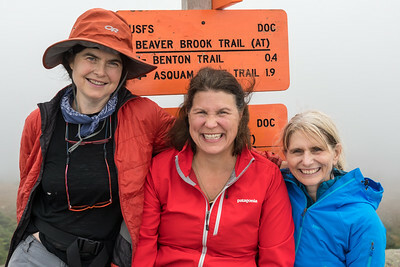 Viva Hardigg '84, Becky Todd '84, and Sue Fernyak '84, on the summit of Mount Moosilauke. 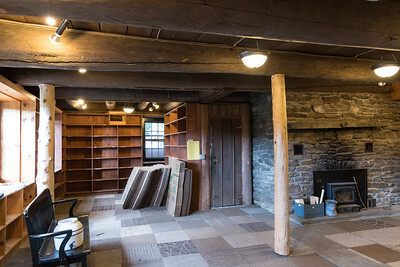 Packing up the basement of MRL. 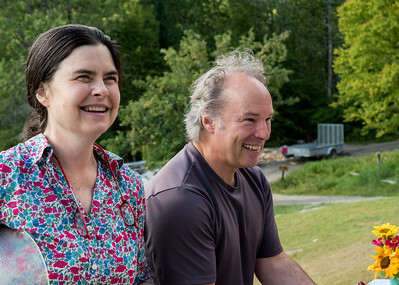 Jim Collins '84, Roger Soderberg, and Becky Todd '84, at the reception prior to the Last Supper at Moosilauke Ravine Lodge. 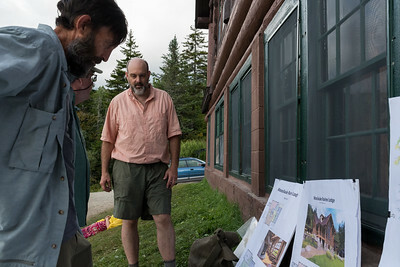 Earl Jette and his son at the reception prior to the Last Supper at Moosilauke Ravine Lodge. 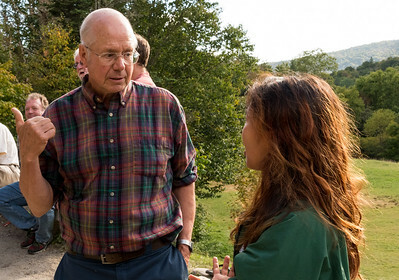 Jack Noon '68 and Lily Xu '18 at the reception prior to the Last Supper at Moosilauke Ravine Lodge. 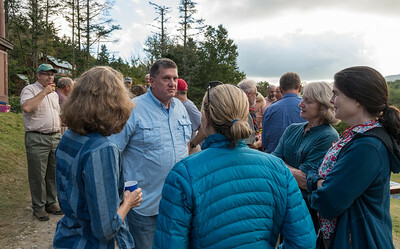 Viva Hardigg '84 and Jim Collins '84 at the reception prior to the Last Supper at Moosilauke Ravine Lodge. 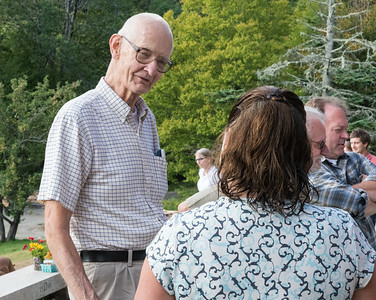 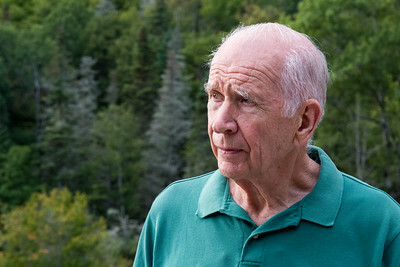 Robert Gilmore '54 at the reception prior to the Last Supper at Moosilauke Ravine Lodge. 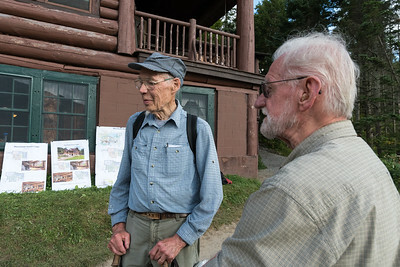 Robert Gilmore '54 and Earl Jette at the reception prior to the Last Supper at Moosilauke Ravine Lodge. 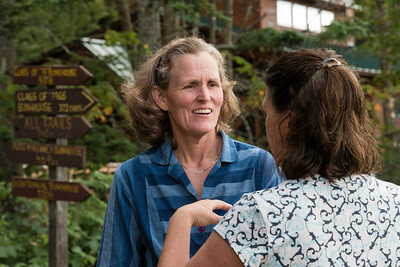 Lelia Mellen '86 and Becky Todd '84 at the reception prior to the Last Supper at Moosilauke Ravine Lodge. 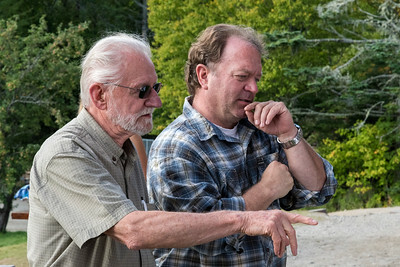 Dave Kruschwitz '74 and Rob Christie '74 at the reception prior to the Last Supper at Moosilauke Ravine Lodge. 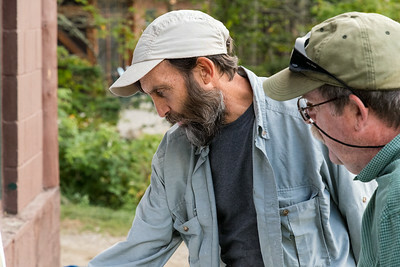 Dave Kruschwitz '74 and Rob Christie '74 discuss the new-MRL plans with David Hooke '84 at the reception prior to the Last Supper at Moosilauke Ravine Lodge. 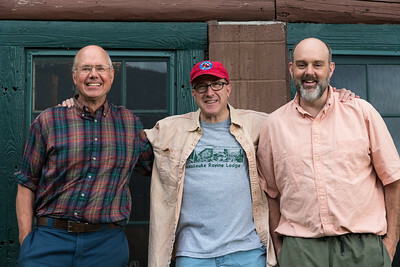 Jack Noon '68, Tom Burack '82, and David Hooke '84 at the reception prior to the Last Supper at Moosilauke Ravine Lodge. 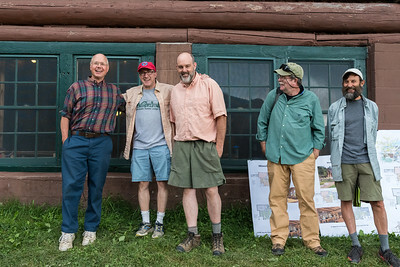 Jack Noon '68, Tom Burack '82, and David Hooke '84, with Dave Kruschwitz '74 and Rob Christie '74 at the reception prior to the Last Supper at Moosilauke Ravine Lodge. 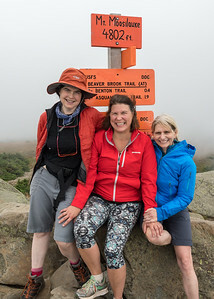 Three C&T chairs: Diana Wright '83, Sue Fernyak '84, and Lelia Mellen '86. 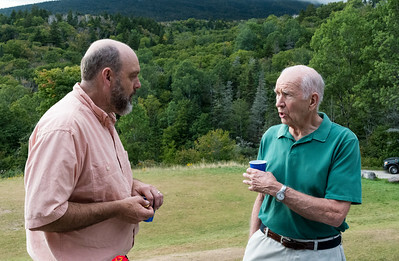 David Hooke '84 speaks with Put Blodgett '53 at the reception prior to the Last Supper at Moosilauke Ravine Lodge. 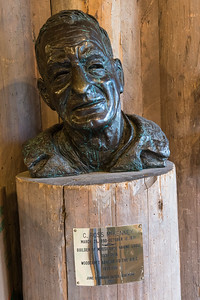 Put Blodgett '53 at the reception prior to the Last Supper at Moosilauke Ravine Lodge. 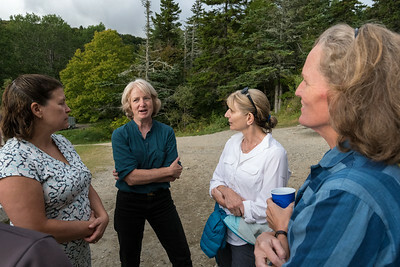 Jim Taylor '74 speaks with Lelia Mellen '86, Sue Fernyak '84, Viva Hardigg '84, and Diana Wright '83, at the reception prior to the Last Supper at Moosilauke Ravine Lodge.